Hospitality robotics - the future is here! Human-like robots that act as assistants: it’s already happening in Belgium and the rest of the world. Robots assist clients and visitors at the reception. 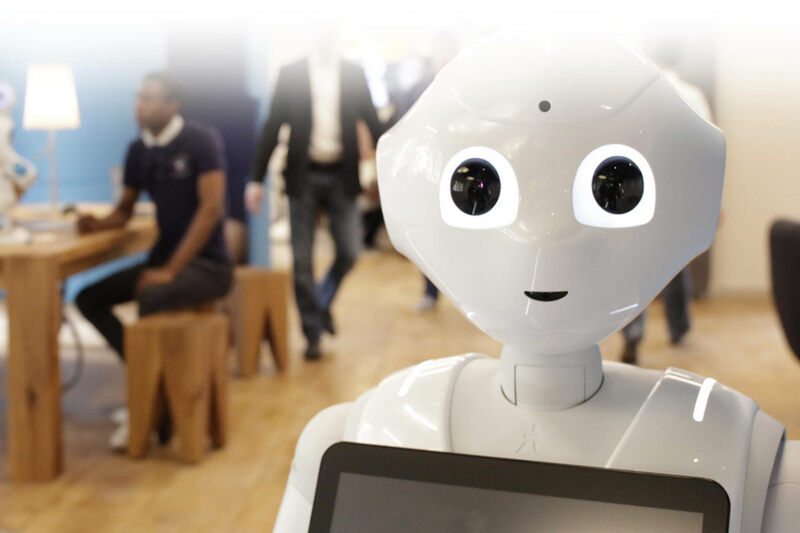 A robot assistant performs simple tasks in a safe and efficient way, for example welcoming guests, guiding them to a specific location or informing them about traffic. This human-like receptionist may not be the answer to all of your hospitality needs. However, we still believe that it allows your organisation to evolve towards a more efficient use of human intelligence, offering the opportunity to outsource simple and repetitive tasks. A robot at your reception desk? It’s possible - and at a surprisingly competitive price. Savviva shares its vision with the world’s largest robotics companies. We believe that offering care, quality and comfort can improve people’s lives, and that robotics can assist in this. We want to bring customers closer to this hospitality technology and what it can do for their companies today.